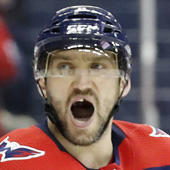 Quick will patrol the crease in Thursday's home game against the Blues, Curtis Zupke of the Los Angeles Times reports. Quick wasn't great in his last start Tuesday against the Canadiens, surrendering three goals on 24 shots en route to a 3-1 defeat. The American backstop will look to bounce back and secure his 13th win of the season in a home matchup with a St. Louis club that's averaging 2.70 goals per game on the road this campaign, 21st in the NHL.